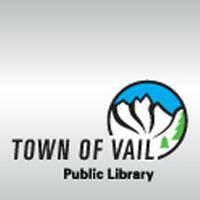 The Town of Vail Public Library offers access to information resources of many types to serve the needs of Vail's guests, residents, businesses and schools. The library holdings include over 52,000 fiction, non-fiction, visual media, and audio books and more than 300 magazine subscriptions and newspapers in print or electronic format. The library is located on the town's bus route across from Dobson Ice Arena at the east end of Lionshead (292 West Meadow Drive). The Town of Vail Public Library was dedicated on July 4, 1983.